I love good food and I love luxury fiber yarn. The commonality of those two things is that whatever I am eating/using is what I favor right then. This has allowed me to enjoy all the wonderful Anzula Luxury Yarns I’ve written about. Another commonality? I think it is not a luxury if the result you get is pleasurable and gives a great result. My motto is always “buy the best you can afford” and then make things that are useful to you and fit your way of life. See justifications below. Cricket is a soft, springy 3-ply DK weight yarn. Cricket is 250 yards of 80% super wash merino, 10% cashmere, 10% nylon. In Stockinette Cricket yields about 20 stitches and 28 rows to 4 inches. 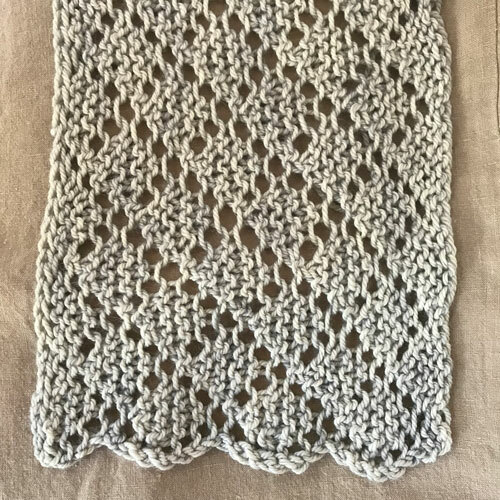 It has nice stitch definition and does a smooth and even Stockinette, but also makes a wonderfully textured seed stitch. In other words, it fits into the Anzula Luxury Fibers line up perfectly. Let’s talk price. I always compare the prices of yarns when I am looking at using them because I need to think about your spending habits. Cricket is about $35/skein. This seems high to many knitters, but I want you to think about price differently. Recently a friend was admiring a pair of boots I had purchased. Although not inexpensive, I did get them 20% off. She still felt the price tag ($165 with tax) was high. I countered by telling her that I expected I would still be wearing them 12 to 15 years from now. My experience is I either wear things out because I over-use them, or I wear them for a very long time. For clothing/shoes I tend to look at days used, times worn, and pleasure in owning and wearing, rather than the price paid at the moment. If I own and use those boots for 10 years, my cost per year is $16.50! Of course I had to have the extra money to buy them now. If I wear the boots out sooner, it will likely be because I wore them so much, so the cost per wear will be low. I have clothes and shoes that I have literally spent less than $0.10 per wear! I admit I am a pretty thoughtful shopper. Often luxury fibers added in small amounts do not make much difference in the final yarn. In Cricket you can really feel the softness of the fiber in every stitch you make. 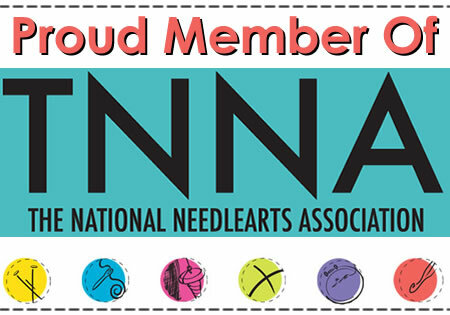 You will enjoy every moment you are knitting with it and want to knit more! For this review I made my usual exploration swatches, but I also made a messy-bun hat. It consumed about 28g of yarn (in full disclosure, I also used a bit left over from another project as well). Here’s why a luxury yarn makes sense. This messy bun hat is going to be worn by me when I am running. The fact that I am getting internally heated by running tends to make the extremely sensitive skin on my neck and ears even more sensitive. Having short hair, my ears can get pretty cold while running during the winter but I am often uncomfortable if the top of my head can’t release heat, so this messy-bun hat will let me pull the soft fabric over my ears and leave my crown exposed for heat release. Cashmere and super wash wool add to the appropriateness of this yarn in a fairly rugged application: Cashmere likes to be washed! I’m looking forward to my winter running with soft, warm ear covering. Messy bun hat in progress. This brings me to my—and your—knitting. I have 25 grams of Cricket remaining or I’ve used 75 grams. I have spent five evenings using this yarn. That is usually about 1.5 to 2 hours of knitting per evening, or 8 to 10 knitting hours. I made my exploration swatches (2 evenings) and the messy-bun hat (3 evenings, including i-cord). At $35/skein, I’ve used about $26.25 of my Cricket over 10 hours. This means my knitting cost me $2.625 per hour. I always relate this to a coffee drink because people regularly buy those. Where I live, that is about the cost of a single espresso. I recommend Cricket for more-than-pleasant knitting, but especially for the joy of wearing it. I am not alone. There are 1690 projects on Ravelry, a surprising number of the projects made are multiple-skein projects. There are 1592 stashes containing Cricket —and if you are looking to buy, some are available at good prices. In a time of gift-giving, this is the sort of gift that makes a real impact. To be truly frugal, you could get two gifts—and hours of your own entertainment—from the investment. Check the Pattern Ideas Look on my blog on December 6 for a recipe for making the messy-bun hat. I always look up information on the fibers I am writing about and using. One of my favorite resources is the Fleece & Fiber Sourcebook by Deborah Robson and Carol Ekarius. I almost always learn something, and this was no exception. I did not know that Cashmere is not a goat breed, but refers to the under fiber found on all goats, except the Angora goat. Additionally the amount and quality of this down grown by a goat is related to temperature, which is why the best cashmere is found in cold, mountainous climates! I always check online as well, because I know so many of you do. I think the Wikipedia information is perhaps a little too general and if you are really interested in fibers you should check spinning or fiber-related books (always check your local library—they often have or have access to a wide collection of references). Here is a link to some fun photos from the 2013 Vermont Goat Show.